“Google officially closed its $1.1 billion deal with HTC Corp., adding more than 2,000 smartphone specialists in Taiwan to help the search giant chase Apple Inc. in the cut-throat premium handset market,” Shelly Banjo and Mark Bergen report for Bloomberg. MacDailyNews Take: “Apple is doing really well in developed markets” because only Apple sells real iPhones, not a slew of knockoffs running an insecure kludge that Google originally intended to be a BlackBerry clone but hastily rejiggered to mimic iPhone once Steve Jobs showed them what to do. With no plans, still, for their own SoC, Alphabet has already lost this race. Thankfully for Apple, Steve Jobs had the wisdom and foresight to recognize the need for custom silicon and the advantages it would deliver. Google. Apple started down the custom silicon path more than a decade ago. It takes a lot of time to build and implement that expertise. They can do what Apple did… buy it! BTW, my likelihood of buying a fully integrated Google phone is slim. to build out the capability and implement it in products. Google cannot just buy it and catch up with Apple in a year. Not possible. You’re just trying to diss Apple, as usual. the expertise in custom silicon to the level it is at today most certainly did take a decade. If you want to believe Google can “buy it” and match Apple overnight, go ahead. Today, a decade later, yes they are still pushing out new products. They did back when they were acquired too. Is the A10 the same as the A6? pa semi was far from Apple’s only acquisition in this space. they’ve been making smart investments and acquisitions in custom silicon for a long time. Im sure some took longer than others. Here it’s about cpus. They move fast. misinformed if you think Apple is just “pushing out new products”. The level of integration Apple is achieving now with custom silicon is impressive and did take a decade to build to. You’re conflating off the shelf parts with what Apple is doing. Two different animals. Suffice to say you don’t know what you’re talking about. Don’t assume the Google does not also have over a decade’s worth of experience in custom silicon because you don’t see it in mobile products. How do you think they make their server farms so fast and efficient to run their Search? building their data centres with custom silicon. Google does not have anywhere close to the same kind of hardware experience that Apple does. It’s going to take many years and a lot of effort for Google to catch up. Apple is about five years ahead of the industry, and Apple is not going to stand still either. 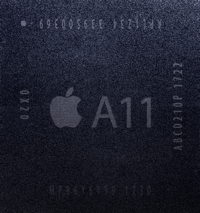 You’re right that it may take Google a while, Samsung however is nipping at A11’s heels with their new Exynos 9810. “nipping at A11’s heels” as you said. It looks good on paper but real world use is a different animal. Apple is easily five years ahead of the industry and that includes Samsung and Google. Google has done some good work with their Tensor Processing Unit but they are less than two years into implementation and it is a 28nm process. The good news might be that other companies are beginning to realize that Apple’s integrated approach was always right and the industry is moving towards how Apple does things. That will be good for everyone. Sounds like you’re afraid Apple won’t be able to handle the competition. That’s justified, given Tim Cook remains CEO. Google has years of experience designing custom silicon, just not MOBILE silicon like Apple. They are not as far behind as you would imagine. One of the reasons for Google’s dominance in Search is the speed at which it is performed. Many years of silicon research and development has gone into creating the CPUs running in their server farms as well as in to far future concepts like quantum computing. Areas where Apple has either abandoned like servers and where Apple has not touched like QC. ‘Downgrading’ their chips to mobile use may take some effort but may result in leapfrogging Apple in some areas. AI may be one due to their deep work with TensorFlow which Qualcomm’s new Snapdragon 845 will be one of the first supporting in the mobile arena. Apple don’t have anything to worry about over this, but it could be worrisome for companies like Qualcomm and also for the manufacturers of Android phones. With Apple already believed to be working on it’s own modem chip, there won’t be many orders coming Qualcomm’s way from Apple in the future and if Google get anywhere with this project, it could reduce orders from the Android camp too. The worry for the Android manufacturers is that Google will be creating both the operating system and the chips, which gives them an opportunity to vertically integrate in such a manner that the only way to get optimum performance would be by using Google’s chips. We know how Google loves having a monopoly and if I were manufacturing Android phones, I would be very concerned if Google supplied both the operating system and the chips needed to use it. They might not charge for the Android operating system, but I would expect them to charge quite a significant price for any high-end custom chips. It will most likely be a few years before this project bears fruit, but the writing is already on the wall. Wherever Apple goes, Google always tries to follow. Vertical integration has given Apple massive advantages and Google now wants to try doing the same. iOS to other OEMs you might have a point. They don’t though which means you don’t have a point. There have to be two yardsticks because there are two different models at work. Measuring or analyzing both in the same way isn’t very smart. That it doesn’t creates an iOS market monopoly. All you can argue now is whether they have a right to being a monopoly. But….the App market does consist of “software OEMs”, so I guess I might have point after all. channel conflict in Apple’s case (that refers to OEMs before you go off on tangential rants about software and monopolies and that aren’t monopolies). There is channel conflict in Google’s case. Two different models require two yardsticks. All you’re doing is trying to create whatever yardstick you can to support your idea that Apple is doing something bad. You don’t have a point in this case. One model has OEMs. The other does not. They are not the same and do not have the same challenges. You’ve proven absolutely nothing. In fact my position stands unscathed. basic concepts such as channel conflict then. Um, this is about OEMs. I suppose there could be one yardstick in this particular instance, if there was one business model, but there isn’t. Google and MS use OEM’s. Apple creates its own integrated product, no OEMs. Where are those that are manufacturing iOS phones that should feel concerned about it? Now, Google and MS want to get in on Apple’s success, and start to mix business models, competing with their OEMs (hence the “concern”). There is nothing fundamentally wrong with competing with OEMs except when it violates anti-trust law. Anti-trust law exists to protect the CONSUMER, sometimes by protecting the OEMs. And I agree, that competing with people who depend on the product you supply is generally a bad thing. MS should have been broken up, and that was just software. Which begs a larger question. iOS developers are not APple employees, or contactors. They are “software OEMs” that supply Apps for the iOS market. That market consists of a singular mandatory store, that curates and excludes certain Apps according to it’s own (variable) criteria. It is certainly Apple Store’s right to sell what they choose. The problem lies in that, being a single store, some company’s products are forbidden from even existing. So which is worse, competing with OEMs, or excluding their existence? I agree that it may come to pass that to get optimal performance OEMs may have to buy and use Google’s silicon. However, when’s the last time Android devices relied on a single CPU OEM’s chipset? As for pricing, Google charging significantly higher than cost would be counterproductive to further ‘spreading’ the use of their Google suite of software products. This move is absolutely necessary for Google, even if they’ve tried before. The current state of Android is controlled by Samsung at this point, at least in the mind of the public at large. To them, Android = Samsung. So Google is faced with a two-headed monster: on one hand, they have to regain control of the platform from Samsung; and on the other, they have to somehow break their dependency on Apple’s iPhone- yes, the iPhone- for profitability. Google makes more money in the mobile market off of the iPhone ecosystem than from all of the mobile android offerings. Custom silicon and HTC, they’re betting, will allow them to take on Apple in the premium market and marginalize the Samsung effect. Dead on. In fact it’s profitable enough for Google to bribe Apple with billion to be default search on Apple devices. If the product is free, it’s said you are the product. What is it when it’s not free and they sell you? And it is time for Apple to kick Google out from the default position. You realize Google’s payment to Apple is counted as ‘Service’ income right? Imagine the stock drop on seeing their now touted as successful Service income take such a massive drop. annual payment would not be a significant hit for service revenue, rather a temporary blip. Apple service revenue is now over $30 billion per year. Google’s payment is estimated at $3 billion per year. Annual growth of service revenue would wipe out that 10 percent difference easily. At best if Apple kicked Google to the curb you’d have one year of flat service revenue or only modest growth (more likely). There would be no “massive drop” as you said. So, everything shouldn’t be up for sale, one of them is giving default positions to Amazon, Google, Facebook, or Netflix, they are your competition in the general market as well as the stock market.